United Technologies Corporation (UTC; NYSC: UTX) is headquartered in Farmington, CT, just outside of Hartford, CT. We employ over 240,000 talented individuals globally, achieve net sales in excess of $60 billion, and invest $4B each year back into research & development activities. Our aerospace businesses include Pratt & Whitney aircraft engines and Collins Aerospace – the combination of which make us the largest aerospace company in the world. Our commercial businesses include Otis elevators and escalators and Carrier – a leading provider of heating, ventilation, air conditioning, fire and security systems and building automation controls. 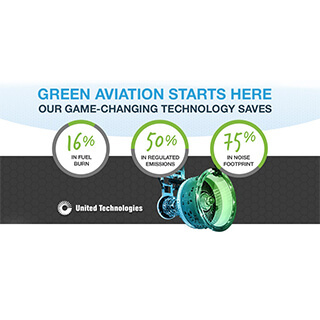 United Technologies Corporation (UTC) was founded by some of the world’s greatest inventors. We helped build the Second Industrial Revolution and brought about a century of urbanization and globalization. Now we need your help to build the next one. 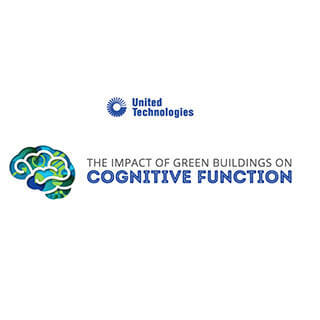 The United Technologies Research Center (UTRC) is the corporate research center of UTC, operating at the leading edge of commercial and military aviation, aerospace systems, climate control, elevator design, and security and fire protection. At UTRC, we create new ideas and opportunities by collaborating across time zones, geographies and cultures. We are a community of high performing inventors, innovators, thinkers, manufacturers, motivators, leaders, problem solvers, dreamers and achievers. We work with universities, external research organizations, and global business units to identify, develop and demonstrate innovative technology solutions, products, services and intelligent systems. We are looking for scientists and engineers who have a passion for innovation and a high tolerance for ambiguity. You must be an independent thinker and self-starter with a demonstrated ability to produce high-quality technical content by collaborating with fellow researchers and product specialists. You will have the opportunity to continuously develop and invent new technologies, products and processes. At UTRC, you’ll be part of an evolving, globally diverse company that’s moving fast to shape the future of technology - one full of career opportunities and the chance to contribute and grow in a variety of ways. 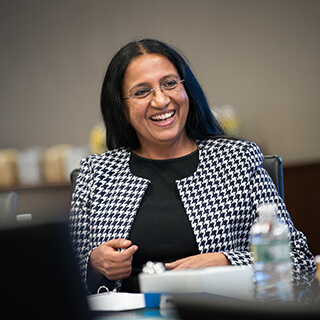 We are committed to recruiting and retaining the best and brightest people from the broadest and most diverse talent pool possible, so that we can serve our customers globally. If you have ideas, inspiration and expertise to continue developing products and systems that make the world a better place to live, then we have a great opportunity for you to contribute to our continued legacy of innovation. The Emerging Technologies (EmTech) Program Office at United Technologies Research Center invites experienced candidates to apply for a senior level position leading the development and execution of a portfolio of projects in Autonomy/Automation, Cyber Physical Security and Connected Products with applications to UTC products. In this role, the successful candidate will be expected to: 1) lead a diverse and multidisciplinary global team of engineers and scientists in the successful execution of a portfolio of projects in this area with technical discipline and rigor in project execution; 2) grow the portfolio and create new innovative technical and project opportunities through technology leveraging, capability development, strategic partnering, and acquisition of external contracts; 3) interact with UTRC Program Offices and all UTC businesses to develop and communicate a strategic vision in this area; 4) mentor individual contributors to projects and assist in developing technical skills in selected areas; 5) demonstrate excellent communication skills and be able to provide timely, accurate and detailed reports and presentations to senior management and functional teams. Qualifications: Demonstrated project leadership skills are required, as well as an ability to secure growth through strong customer relationships and engagement. The candidate should be familiar with Project Management tools, experience managing large programs, and a demonstrated ability to create winning proposals for external funding. For this role, the candidate should have a broad grasp of cyber physical systems, autonomy and robotics, encompassing hardware and software, including machine intelligence technologies. Technologies of special interest include secure autonomous aircrafts, automated and intelligent cyber, hardware supply chain assurance, quantum communication, digital analytics, sensing and information architecture, perception, simultaneous localization and mapping, feedback control, human-machine interaction, machine learning, and mechatronics. Education: MS required (Ph.D. preferred) in Cyber Physical Systems, Systems Engineering, Robotics, Electrical Engineering, or related engineering field with at least 10 years’ relevant experience (post-degree) in development and integration of technologies for cyber physical security, robotics/automation, sensing and/or data analytics. U.S. Citizenship or Permanent Resident (Green Card) status is required.